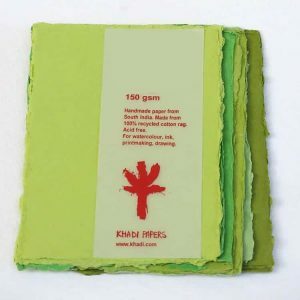 Khadi paper is one of the most upscale papers you can use. 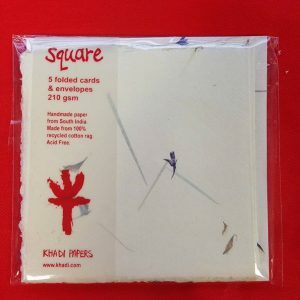 It works great as invitations, and artists even use it for their work. 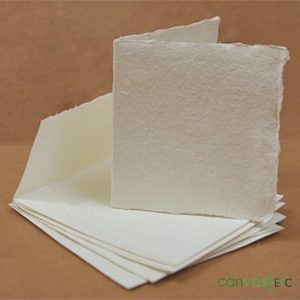 Read below to learn more about khadi paper and how Canvas ETC can help you express yourself. 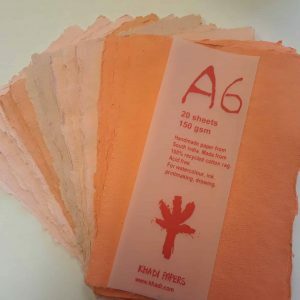 Khadi paper is a very unique kind of paper. 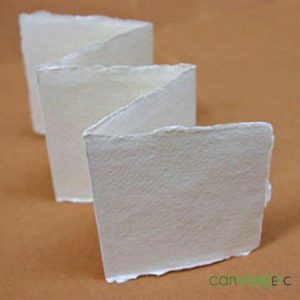 Regular paper that you might throw through your home or office printer is usually made from either wood, bamboo, hemp or flax. These raw materials are harvested, pulverized, then washed. The lignin in the pulp is like a glue that holds the plant together. 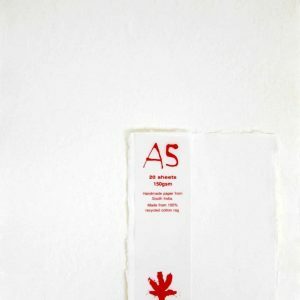 It is washed away, and paper makers are left with the cellulose from the plant that can be reshaped. 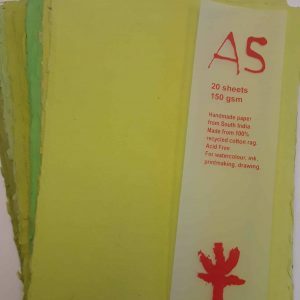 Oftentimes, papermakers will add stabilizing chemicals or dyes to make the paper to specific specifications. 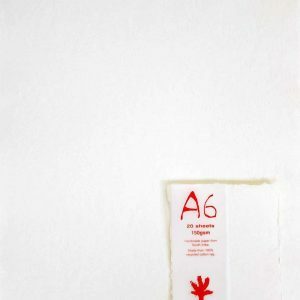 This makes very uniform paper that is not unique in any way. Khadi is the opposite. 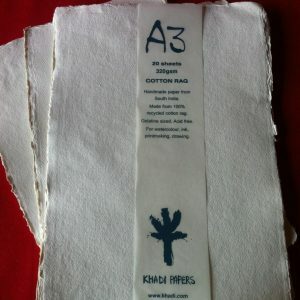 Khadi paper is actually made of old shirts. 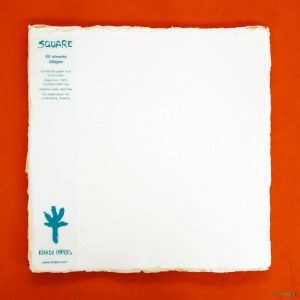 This is why it is sometimes called “rag” paper. These old shirts are recycled to produce something new. Papermakers pulverize and wash the old shirts. The pulp is then formed into large sheets of paper that are pressed and dried. 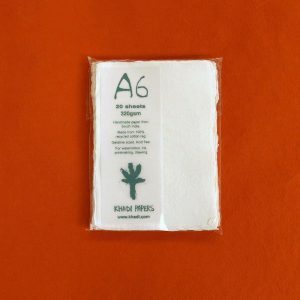 The old shirts used are already stable, so no chemicals have to be used in producing the paper. Because khadi is made of long fiber cloth, it is also exceptionally strong. 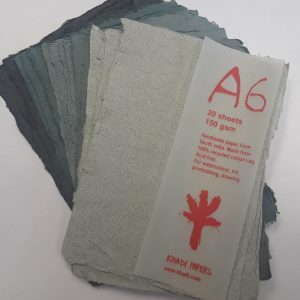 Many countries use rag paper for their currency or important documents because the paper is pH neutral and tough. 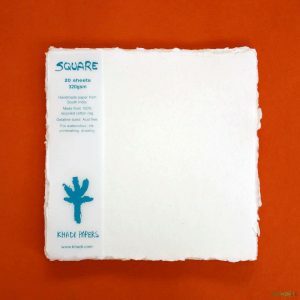 Many artists have started using khadi paper as well for the same reasons. They don’t have to worry about their paintings or drawings being ruined by an acidic paper. Make a great first impression. 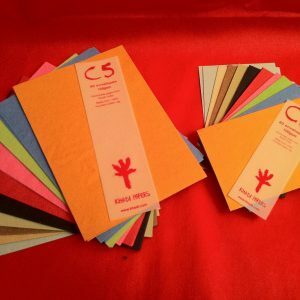 If you’re looking for khadi packs of envelopes, you’ll find them at Canvas ETC. Our khadi packs are perfect for your next celebration. When guests receive invitations in the mail, it will make an incredible impression on them. 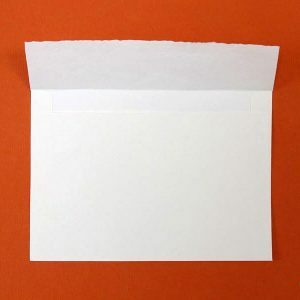 Compared to all the other plain white envelopes, khadi envelopes have a lusher feel and are more aesthetically pleasing. 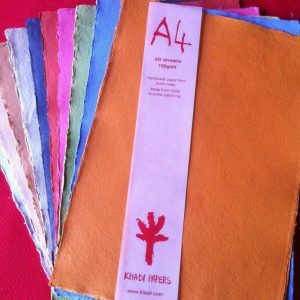 Our khadi packs also come in many standards sizes and colors. You’ll be able to match the envelope to your celebration perfectly. 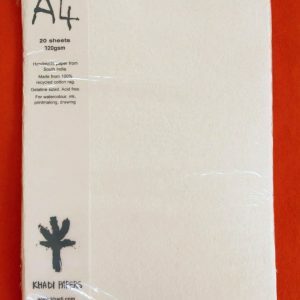 Our khadi packs of paper can match perfectly with an invitation or announcement, but it’s also a great choice for the budding artist. 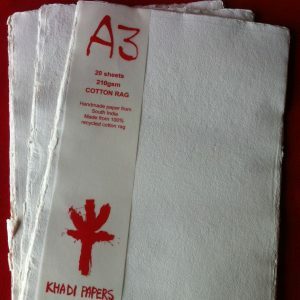 Khadi paper is said to be one of the best papers for artistic uses. 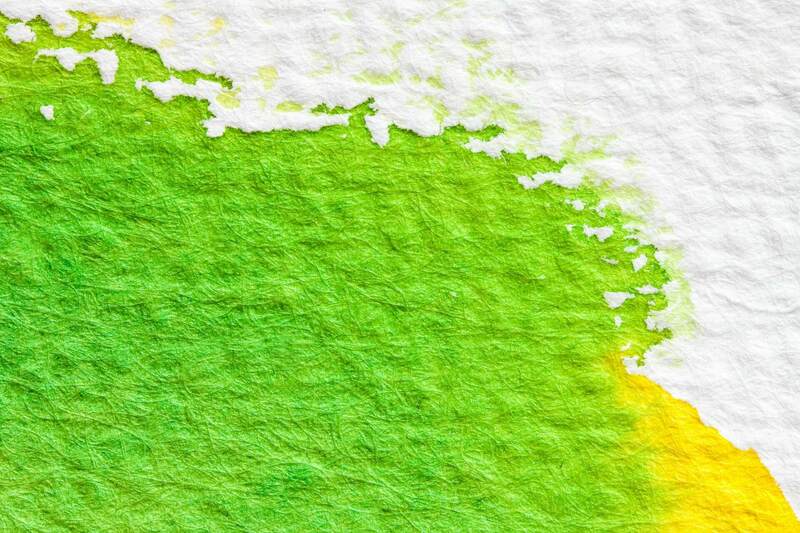 Watercolor painters love it because the paper is much thicker than others, and it is “thirsty.” Khadi likes to absorb a lot of water. 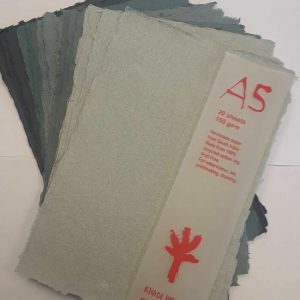 This is great for watercolor because you’ll be able to layer many coats of pigment without worrying about the paper becoming waterlogged. 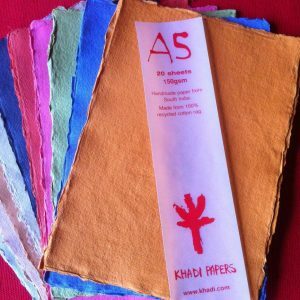 Khadi paper is a supple paper in hand but can also be made into almost any shape. 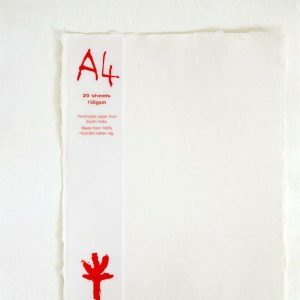 While you’ll be able to find khadi packs of regular A4 paper, shaped paper is just a little more special. Trying to make a great impression on that important someone on Valentine’s day? 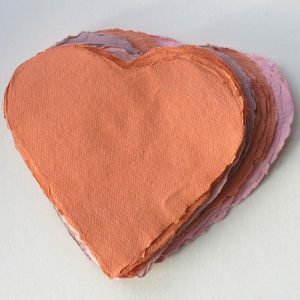 Khadi packs of pink hearts is the right choice. 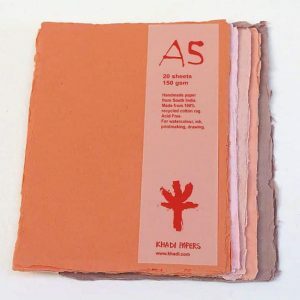 The paper is handmade and dyed the proper color to show your intent. 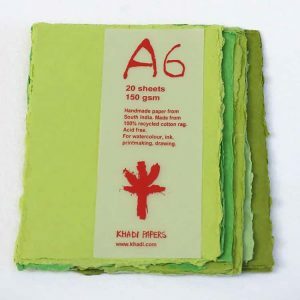 These khadi packs of shaped paper are the perfect choice for when you want to impress. 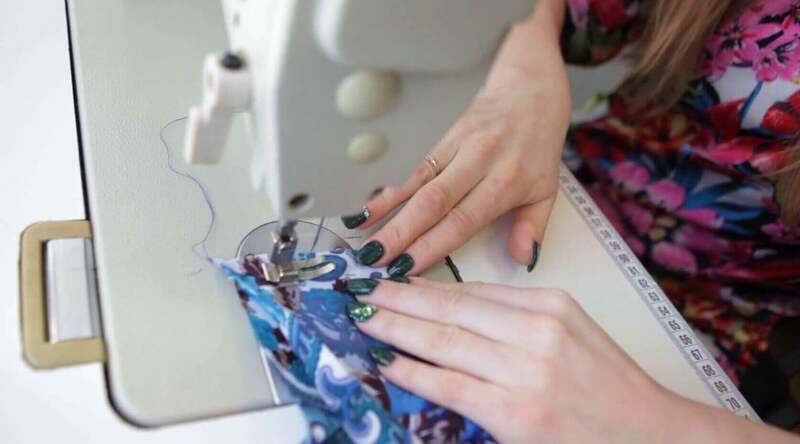 They are handmade and come from only one place in the world. 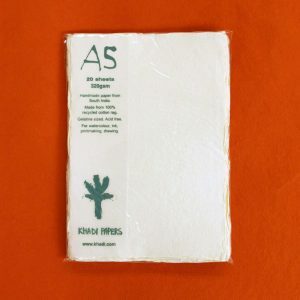 The paper makes of Southern India take pride in their work and produce a paper that is sure to make others take notice. 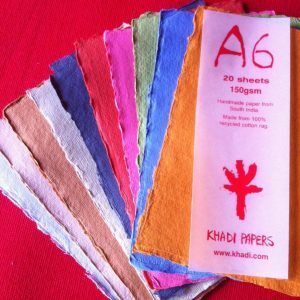 Find your perfect pack of khadi paper today!